To receive all the latest news of startups, entrepreneurs, crowdfunding, etc… join Startup365 on Facebook (Startup 365) , on Twitter (Startup365) , on Linkedin (Startup365.fr) and on Google +1 (Startups) ! Thanks ! 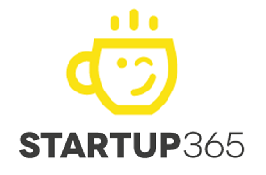 Startup 365 is an independent website presenting information and news about entrepreneurs, startups, entrepreneurship, smallbiz, business, etc… Please do not hesitate to contact us if you any questions regarding our website. Thanks ! StartupWorld : startup news from all around the world !